Libelium has released a set of Encryption Libraries for Waspmote and Plug & Sense!™ sensor platforms, allowing system integrators a new way to deploy secure Wireless Sensor Networks (WSN). Designed for use in Smart Cities implementations, the new Encryption Libraries are a robust security system ensuring the authentication, confidentiality (privacy) and integrity of information gathered by the sensors, of major concern for local governments with regard to data liability. Along with accuracy in monitoring, security and privacy protection are important issues that impact the widespread deployment of Sensor Networks for Smart Cities. The Encryption Libraries are distributed with the Waspmote integrated development environment (IDE) under an open source license, and are ready to install with the main program. To ensure maximum security and protect information gathered by the Waspmote sensor platform, Libelium uses three cryptography layers: access control; point-to-point authentication; and public key encryption. 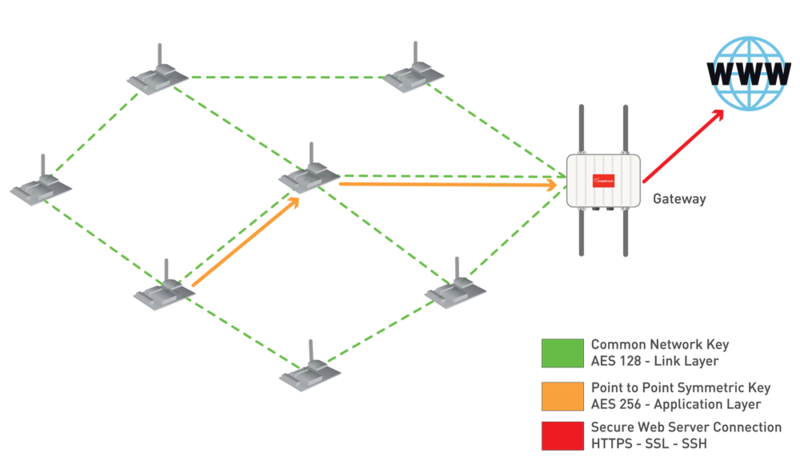 In this process, all network nodes share a common key that encrypts information via AES 128, using Waspmote’s integrated 802.15.4/ZigBee radio to allow efficient energy consumption. 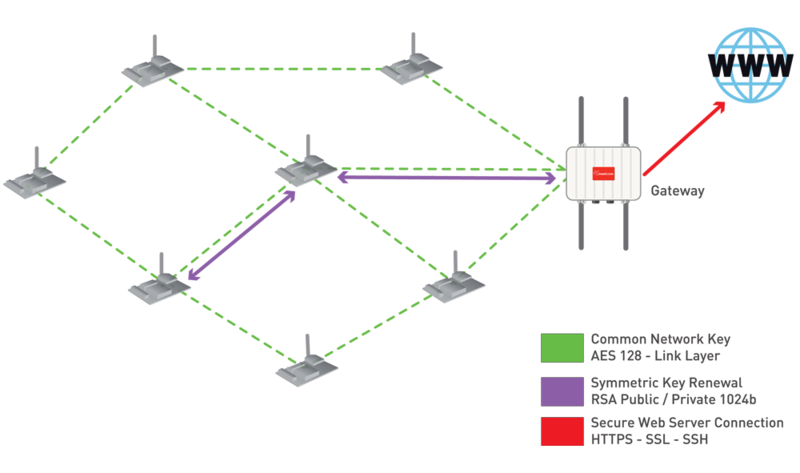 This layer ensures that no third-party devices may connect to the network. For this security layer, each Waspmote sensor node uses a point-to-point AES 256 encryption scheme to confidentially interchange communication with Meshlium, the sensor gateway. For key renewal encryption, RSA 1024 is used to ensure authentication and integrity as none of the intermediary nodes that forward information may see the sensor data transmitted. The third security technique is performed in Meshlium—the sensor gateway device that transmits information to the Cloud—by allowing each node to encrypt data using the Cloud server’s public key. This system ensures that information is kept confidential all the way from the sensor to the Web server on the Internet. The Waspmote Encryption Libraries also allow developers to encrypt the information before storing it in the internal memory of the node itself, ensuring a complete security system in case the sensor device is ever stolen.